Your hosts, The Edmondson Family, welcome you to the Kineo View Lodge. 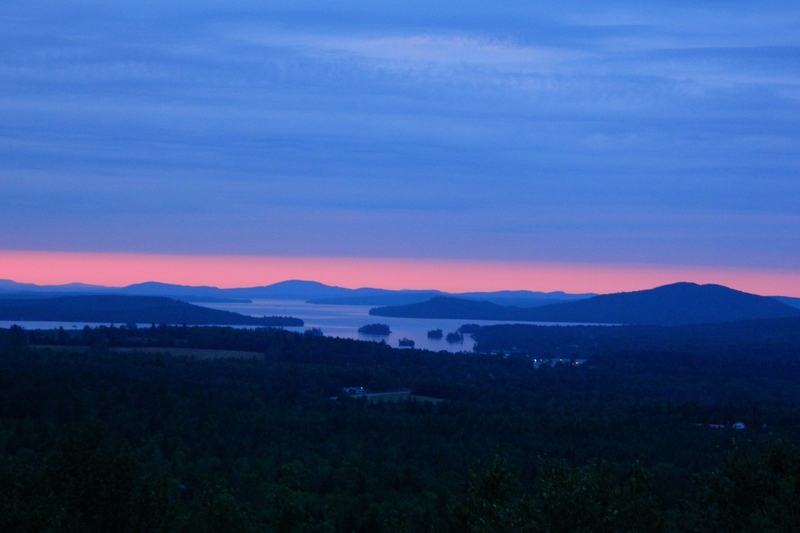 All rooms have a private balcony with a spectacular panoramic view of Moosehead Lake and the surrounding mountains! Kayak or canoe the pristine waters on or around Moosehead Lake. Go on a moose and wildlife safari, and don't forget to bring your camera. Explore the Maine Northwoods and hike one of our beautiful mountains; options available for hikers of all abilities. Take a scenic cruise aboard the historic steamship, the Katahdin. Enjoy spectacular views on a scenic flight tour of Moosehead Lake. Visit the Moosehead Historical Society and learn more about the area's history. Other nearby activities include fishing, boating, golfing, mountain biking, white water rafting, and ATVing. Snowmobile directly from our lodge via our privately maintained access trail that connects with ITS 85. Downhill ski or snowboard at the nearby Big Squaw Mountain. Enjoy freshly groomed cross-country ski trails at the nearby NREC trails, Lily Bay State Park, Big Squaw Mountain and AMC trails. Snowshoeing is also a fun winter workout! Ice fish Moosehead Lake; just a 3 mile drive away. Hiking, Moose Watching, Kayaking/Canoeing, Rafting, Biking, Bird Watching, Historic Boat Rides, Boating, Scenic Plane Tours, Fishing/Fly-Fishing, Ice-Fishing, Hunting, Fall Foliage, Downhill Skiing, Cross-Country Skiing, Snowshoeing, Snowmobiling, Dog Sled Racing, and MORE! All rooms have a private deck, air conditioner, thermostat, refrigerator, microwave, free WiFi, flat screen tv, coffee maker, iron & ironing board, and private bathroom. Daily housekeeping service is included in room rate. Pet-friendly rooms available upon request. Free continental breakfast is available during the summer season (Memorial Day to Columbus Day). Our Free WIFI is the fastest bandwith service available in the area. Please feel free to contact us with any request you have. Our friendly staff will answer the phone any time of the day. Copyright © 2017 Kineo View Lodge. All Rights Reserved.